Live the life you wanted! Well, hello there. My name is Frank Gao and I’m a professional gambler. Yes folks, this means i do this for a living, and i do quite well. 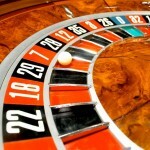 I have decided to open up my own blog and share with my dear and hopefully not too few readers the ups and downs in living the life on a gambler man such as I. I will be writing mostly about topics such as Roulette, Poker, Odds in various Casino games and of course my all time favorite – craps craps craps! Okay, i rambled on for way too long. Let’s get a piece of the action now! Is Auto Racing A Sport Or Not? Are You Looking For New DoubleDown Casino Promo Codes?